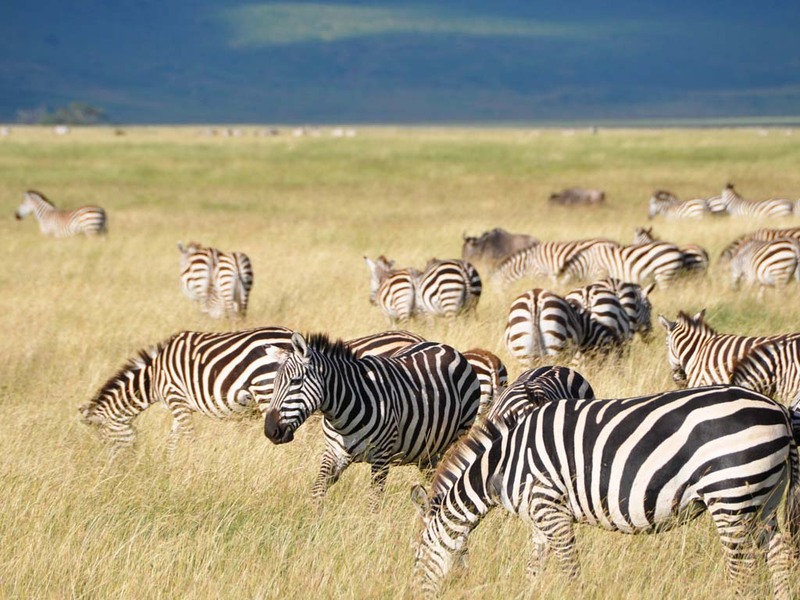 The Ngorongoro Conservation Area was officially declared a UNESCO world heritage site in 1979. The area consists of various landscapes and includes dense mountain forests, woodlands, grasslands, lakes and swamps. 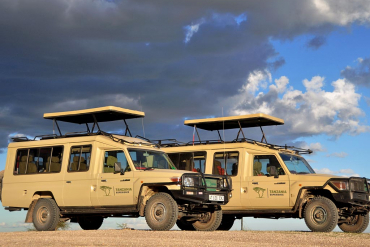 Some of the most important archeological sites in the world, such as Oldupai Gorge and Laetoli can be found in the Ngorongoro Conservation Area. Archeologists found evidence showing that the area was occupied by hominids over 3 million years ago and thus claiming that it could be the birthplace of mankind. And then of course there is the Ngorongoro Crater, the largest unbroken, inactive and unfilled caldera in the world. With a diameter of approximately 19 km (12 miles) and its majestic walls that rise just over 610 m (2000 feet), the crater floor covers an area of 260 sq km (100 sq miles). 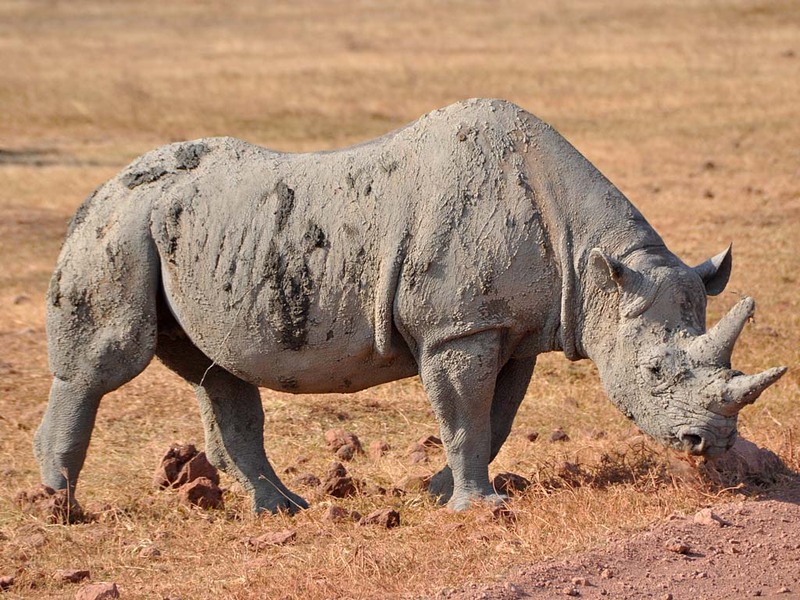 Over 30,000 animals including the rare black rhino call this unique place their home. Today over 40,000 Masais reside in the area making the Ngorongoro Conservation Area one of the only places in Tanzania where human habitation is allowed within a wildlife protected area. 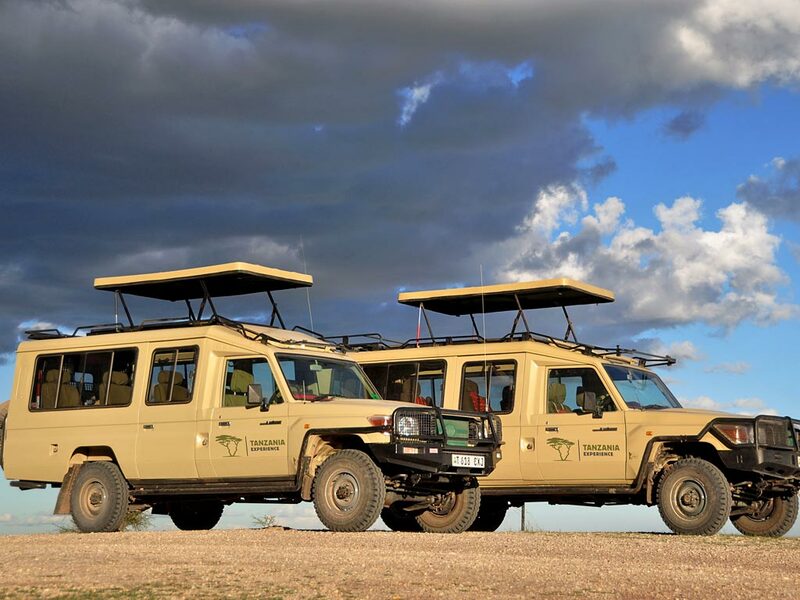 The conservation shares a boundary with the Serengeti National Park and one must drive through the conservation in order to get to the Serengeti. The crater floor is covered by various landscapes that range from dense mountain forests and woodlands to grasslands, lakes and swamps. Water sources include the two main rivers, Munge River in the west and Lerai River in the east as well as the Ngotokitok spring that spills into a swamp. Huge herds of ungulates dominate the crater floor with zebras, wildebeests, elands, Grant’s and Thompson’s gazelles being the species most commonly seen. But the crater is also home to the “big five” and elephants, lions and buffaloes are often spotted. Leopards are rarely seen as the prefer staying in the forests on the crater rim. The almost extinct black rhino can also be found in the crate and sightings aren’t rare either. Serval cats, spotted hyenas and jackals are also often seen while cheetahs are more difficult to spot. But it is not only mammals that reside in the conservtion and great numbers of lesser flamingos can be seen at Lake Magadi, a primarily alkaline lake. 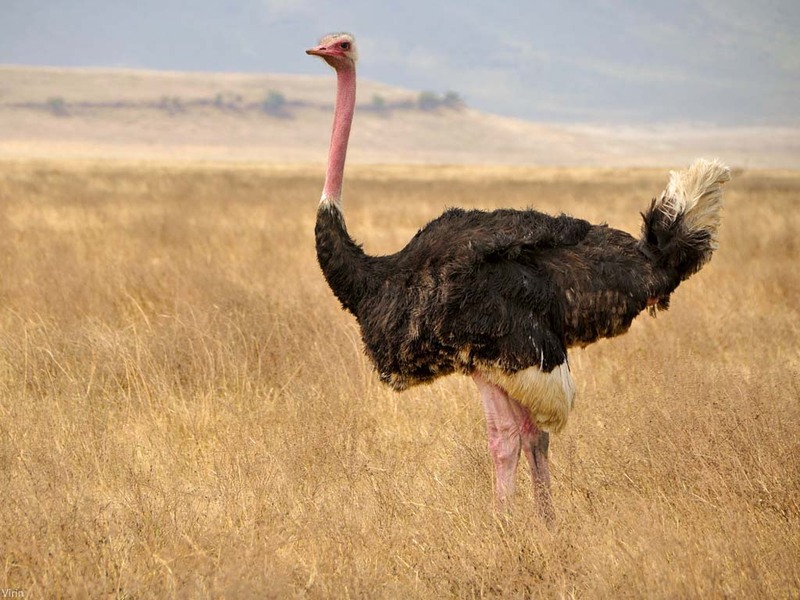 Other common birds include ostriches, kori bustards, crowned cranes, white backed vultures, black kites, cattle egrets, tawny eagles, augur buzzards and many more. 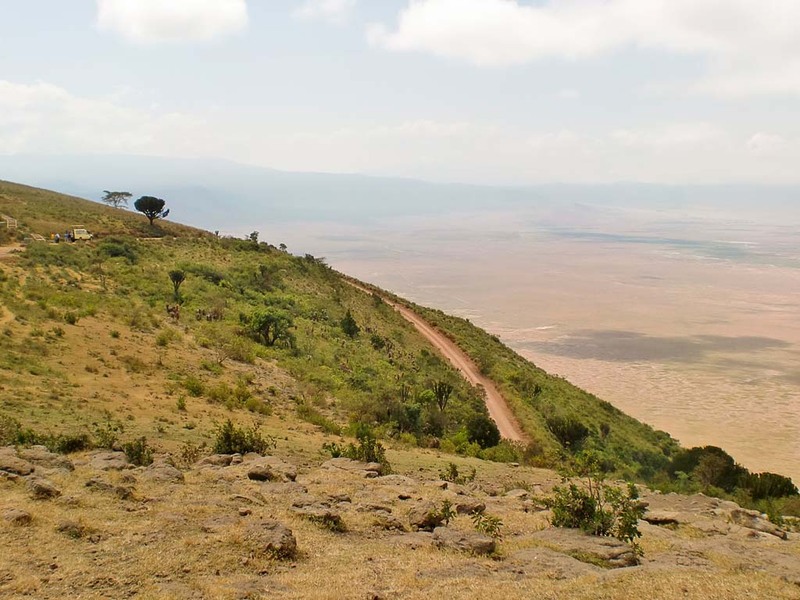 A walk along the Ngorongoro Crater rim accompanied by an armed ranger takes visitors on a path created by livestock, pass moss covered trees and Masai bomas, offering breath-taking views of the crater below.